The NRA and the gun manufacturers in the US like to claim that gun control couldn’t possibly work and that there is no pint in trying. They say that there are too many guns in circulation and that banning guns would not have any effect on the level of murders and mass killings in America. 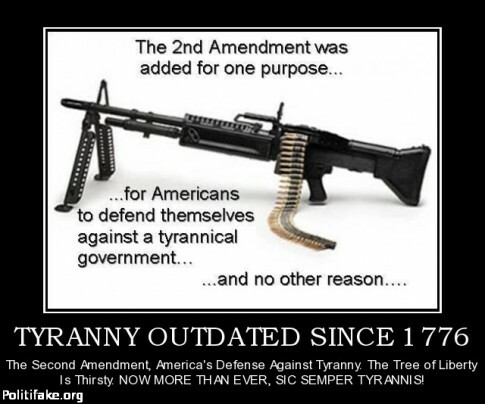 If those arguments fail, there is always a 250-year-old document written to ensure that the US had an armed militia ready to defend the nation against the British to rely on. There are approximately 30,000 gun deaths every year in the US and in the first 260 days of 2013 there were 250 mass shootings – tragically many of those victims were children. By any measure that is a depressing and terrible waste of human potential. If only there was an example of gun control working then perhaps future fatalities could be avoided….oh, wait a minute there is one. Australia had regular mass shootings, gun suicides and all the senseless misery associated with widespread gun ownership until, in the aftermath of yet another mass shooting atrocity at Port Arthur, the government acting in the interests of its people decided it was time to change. In the following clip, Jon Stewart looks at the senate’s “cynical exercise in disingenuous debate” over the Manchin-Toomey Bill to introduce universal background checks and then watch open-mouthed as John Oliver explores what happened in Australia when they went from an US style gun owning free for all to a more sensible gun control regime (all three parts are included). How many more Columbine’s or Newtown’s do America’s children have to suffer before US politicians decide to stop bowing down to the gun lobby‘s blood stained dollars? “I Am Incorrigible”? No, just a stupid, intolerant bigot who hates guns more than you love children. Oh dear. I wonder how difficult it is to draft a sentence in which almost every word is an inversion of reality. Sadly, this person is symbolic of the illogical position of the NRA and it’s support.